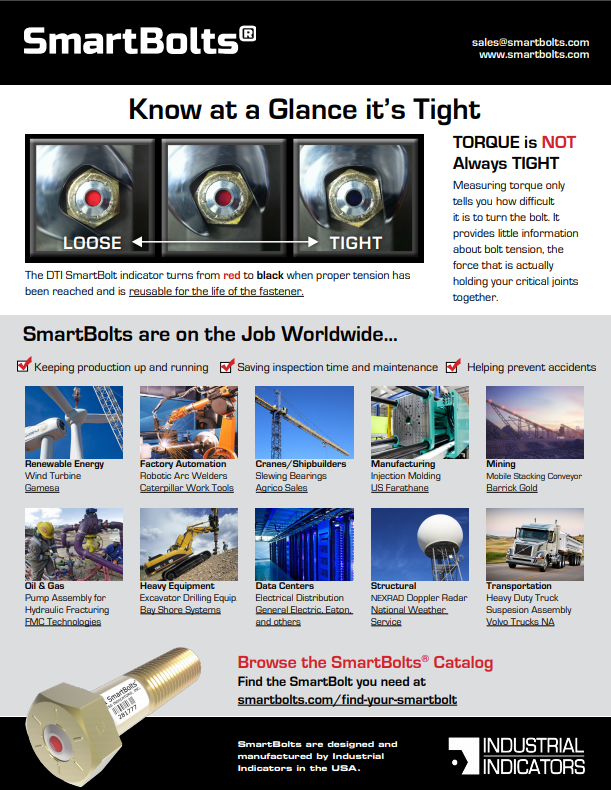 SmartBolts are on the Job Worldwide Saving Downtime & More! We just released a PDF that gives a quick overview of SmartBolts. Learn some basic facts about how SmartBolts are based on measuring tension — not torque. See examples of SmartBolts on the job worldwide helping all kinds of industries keep production up and running, saving on inspection time and maintenance costs, and helping to prevent accidents. 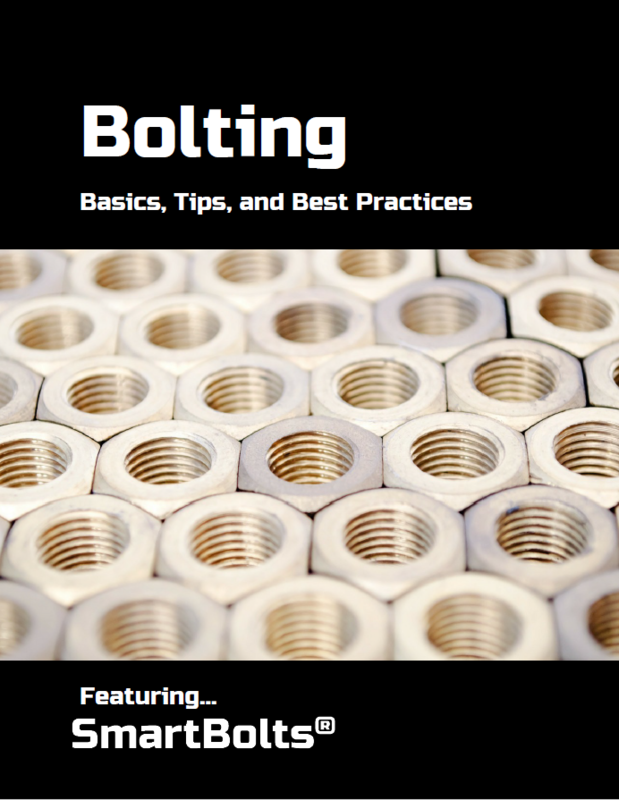 Let your colleagues and followers know how SmartBolts are revolutionizing the way industry approaches bolting! Download and share a copy of our new ‘SmartBolts are on the Job Worldwide’ PDF today! This entry was posted in News and tagged SmartBolts, tension. Bookmark the permalink. « What is the Nut Factor and How Does it Affect Torque?